From mechanical automata to modern-day androids and animal robots, this children's book for ages 9-11 covers artificial intelligence (AI) throughout history. Robotics is experiencing an explosion - with more than 45 million robots estimated to be in operation by 2019. Robotics an... read full description below. From mechanical automata to modern-day androids and animal robots, this children's book for ages 9-11 covers artificial intelligence (AI) throughout history. Robotics is experiencing an explosion - with more than 45 million robots estimated to be in operation by 2019. Robotics and AI will increasingly become a part of daily life: from drones used in battle to robot helpers taking care of hospital patients, and from service robots packing food to rescue robots finding people after a disaster. Robot explains how robots work, how they are made, and shows what the cutting-edge of science, technology, mechanical engineering, and computing looks like. 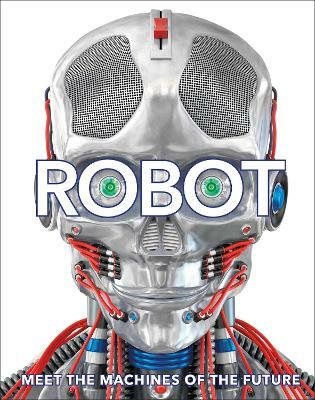 This kids' robot book showcases more than 100 robots, representing the latest and greatest innovations in AI through bright graphics and stunning photography. Tech panels present fascinating facts about each robot's design, production, and capability. The final chapter covers the future of robotics, and how kids of the not-too-distant future may have their very own android friends. Young readers will be riveted by the vibrant graphics, zesty colours, and mend-bending array of information that Robot provides.